Spyker stills hopes to build its B6 Venator Concept. Spyker Cars has filed for financial restructuring as the Dutch supercar maker that was hurt by its acquisition of Saab from General Motors seeks to avoid collapse. A Dutch court has granted Spyker's petition for a temporary moratorium of payment, equivalent to U.S. Chapter 11 bankruptcy proceeding, to address short-term operational and liquidity challenges, the company said today in a statement. The court has appointed an administrator who will manage the company along with Spyker's board. Spyker acquired Saab from GM in 2009. It failed to revive the Swedish carmaker and Saab's assets were bought out of bankruptcy in 2012 by China's National Electric Vehicle Sweden, which is now also under creditor protection. Spyker founder and CEO Victor Muller said the company has faced serious difficulties resulting from its Saab acquisition and its involvement in Formula One racing. The company has a restructuring plan that includes the launch of its B6 Venator entry-level luxury sports car and a merger with a U.S. based manufacturer of high-performance electric aircraft. "We expect to emerge from this restructuring a stronger, more innovative company that is well positioned for growth and profitability," Muller said in the statement. 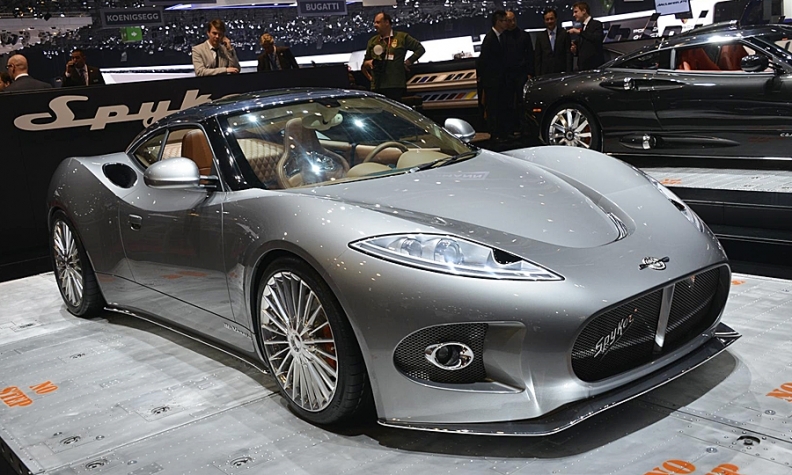 Spyker said it is in process of securing a loan, arranged by independent financiers, that will provide immediate funds. Spyker was formed in 2000 to resurrect an early 20th century Dutch auto marque. The automaker once fielded a F1 racing team, a move that nearly caused its collapse after selling the team at a loss in 2007. Earlier this year, a U.S. court dismissed the company's $3 billion lawsuit against GM. Spyker had accused GM of derailing its plan to sell Saab to a different Chinese buyer from the one that subsequently bought it. Last month a Dutch court ordered Spyker to leave its factory in the Netherlands after it fell some 125,000 euros ($155,000) into arrears on its rent.